Born and raised in Sedalia, Missouri, Troy Johnson has always taken the "show me state", where actions speak louder than words, philosophy to heart. Troy learned the value of hard work and the joy that comes from serving while in his youth. He gained a love for others by helping his mother serve those less fortunate, working with his dad to care for the elderly and widowed, participating in community service projects, and serving a two year mission in Brazil for his Church. These experiences helped guide Troy toward a life of service. Troy came to Denton Rehabilitation & Nursing Center in 2004 to complete his Administrator in Training internship and did such a great job that he was hired as the Administrator when the company expanded. 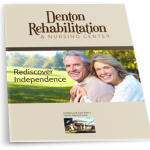 During Troy’s tenure, Denton Rehab has earned the State’s highest quality of care rating among nursing facilities in Denton for 42 consecutive months. Troy attributes this success to “an incredible staff, many who have dedicated years of their life to our residents and our facility.” He adds “we also strive to look outside of the 'norms' when it comes to the services provided and the care given.” Denton Rehabilitation and Nursing Center is one of only a handful of facilities in the area to use a computerized care tracking system to ensure that the residents get the best care. 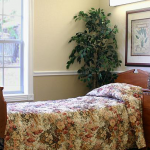 Another key to Denton Rehab’s success is Troy’s ability to relate to the stress and turmoil that families feel when entrusting the care of their loved one to others. All three of Troy’s sons had serious life-threatening illnesses upon birth. He and his wife Gail had to make hard decisions and trust the medical professionals to provide the care the boys needed. These experiences taught him how important it is to feel confident and comfortable with the care given to those that you love. These are areas Troy sees as very important parts of his role at Denton Rehab. 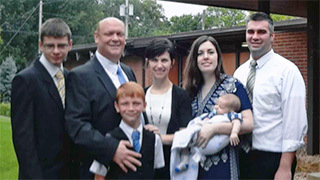 Troy, Gail and the boys bought a home in Denton and consider themselves Texans now. Troy serves in a leadership role in his church, and enjoys sharing his faith through vocal performance. He enjoys playing sports with his sons, going on dates with his wife and camping with his family.